Welcome to la Cité Scolaire Jean-Moulin ! 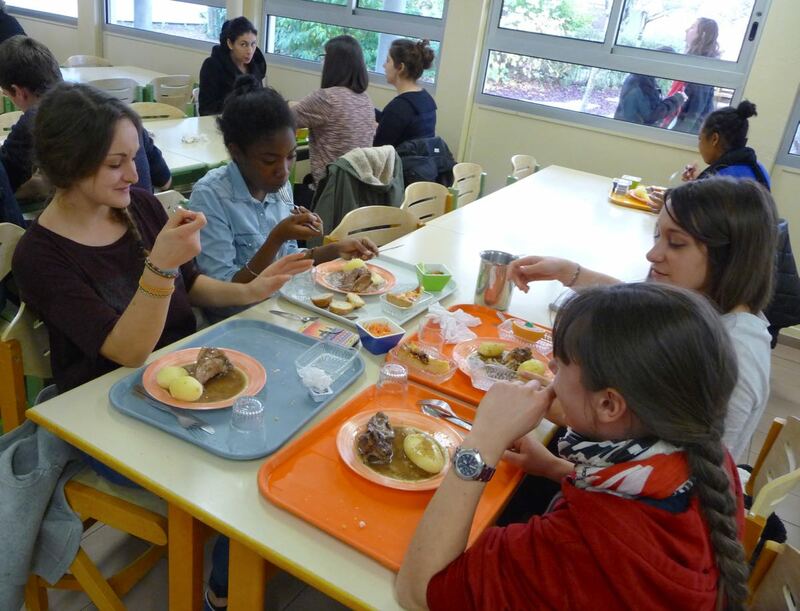 Located in Montmorillon, 50km to the south of Poitiers, la Cité Scolaire Jean Moulin is a state-run school and sixth form college with some 870 students from a wide catchment area of surrounding towns and villages. We welcome children from when they leave primary school at the age of 11 until 18, when they are ready to move onto higher education or into an apprenticeship. Why choose La Cité Scolaire Jean-Moulin? A commitment to helping you achieve success, whatever your chosen path. CSJM is a lycée généraliste – the best choice for those who want to keep their study options open for longer. A large and dynamic teaching staff. Impressive sports facilities (basketball, volleyball, football, rugby, badminton, climbing, dance, orienteering and cross-country running are among the options). Clubs and facilities for music, dance and theatre. The school is well-equipped and well-maintained, thanks to funding from the Region and the Department. Well over 400 computers, a well-stocked library, two science labs and a language lab. After primary school, students spend the first four years of their secondary education (from the ages of 11 to 15) in collège. This equates to the 6th to 3rd form, or years 7 to 10 in the UK, and 6th to 9th grade in the U.S.
Each week, there are 26 hours of lessons that cover the general curriculum i.e. Maths, French, History/Geography, the Sciences, Technology, Art, Music and Physical Education. English is taught at all levels of college as part of the basic curriculum, and students can choose to pursue either Spanish or German as a second foreign language after the first year. Starting in the 5th form, there’s also an opportunity to study Greek and Latin for students who intend to study literature beyond collège. By the end of collège, students have completed the general curriculum and will sit an exam in three subjects (the brevet): French, Maths, and History/Geography. The brevet is awarded on the basis of the exam results achieved, plus classroom performance in all subjects during the last two years of collège. Jean Moulin has an average of 360 students at college level. We might be a big school, but we strive to build a caring and friendly atmosphere. Our aim is to do the best we can for every individual, no matter what our student’s background. To that end, we offer additional lessons for children who have just arrived in France and need extra help with their French. The lycée provides a three-year course of further secondary education for students between the ages of 15 and 18, during which pupils are prepared for the baccalauréat or a brevet de technicien supérieur (BTS). 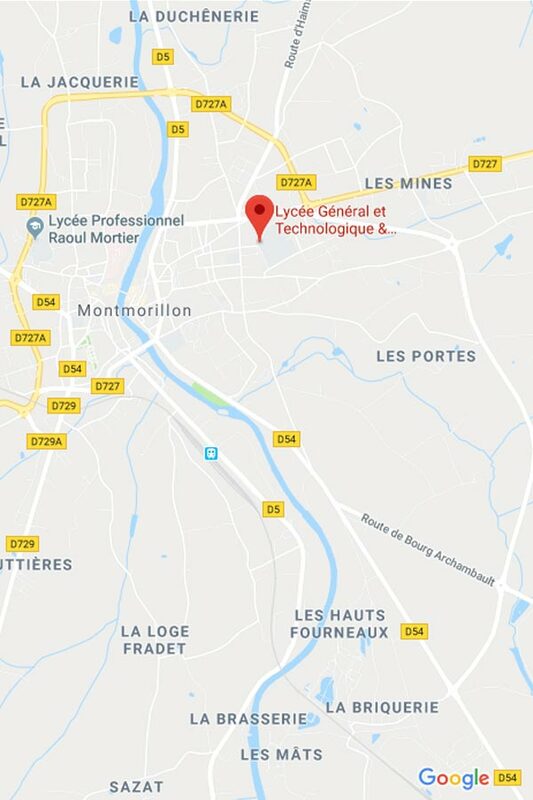 Jean-Moulin is a ‘lycée généraliste, lycée technologique et BTS’, rather than a lycée professional (which provide vocational training). A lycée généraliste prepares students to continue their studies at university or other higher educational establishment, rather than go straight into the world of work. In practice, unless a student has already decided on a particular apprenticeship or career path, attending a lycée généraliste is the best choice for those who want to keep their study options open for longer. Lycée is organised into three stages: second (seconde), first (première) and final (terminale). At the second stage (equivalent to the UK’s lower sixth and 10th grade in the U.S.), everyone studies the same curriculum. After this, students choose a particular orientation i.e. literature, the sciences, or a Baccalauréat in Sciences and Management Technologies (STMG). Only the last two years count towards the Baccalauréat. The BTS in Small Business Management matches students with a small or medium sized company (5-50 employees). It provides an all-round introduction to business administration, including accountancy and law, as well as customer and supplier relationship management, organizing and planning, risk and business management. This is a two year diploma that involves spending 12 weeks per year working within a company. Jean Moulin is just a short walk from Montmorillon’s town centre. There is a car park and drop-off/pick-up zone, but we encourage students to use the Vienne’s well-organised school bus network, particularly those who live outside the town. The bus timetable fits around school hours and drop off is just in front of the cité scolaire. 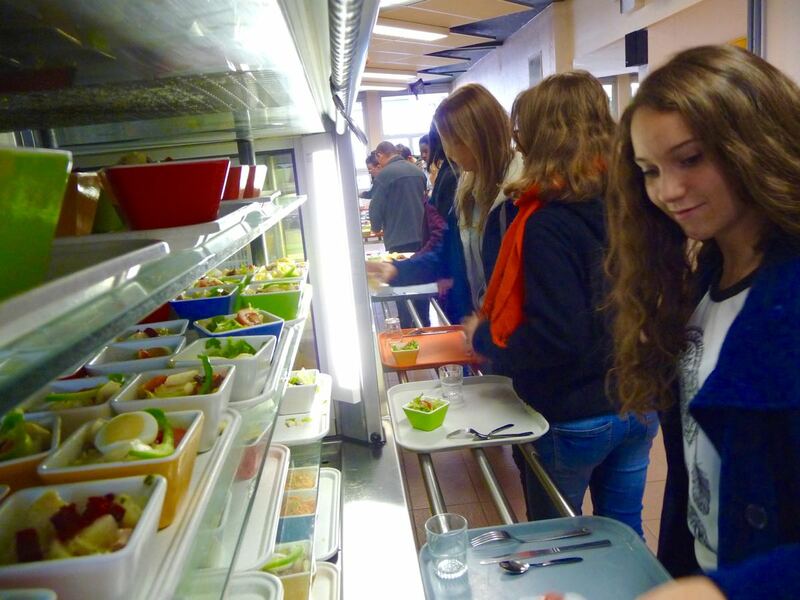 Half-board (Demi-pension) – from 8.30am to 5pm, with the student eating lunch at the school canteen (le self). Slightly reduced rates are available for students who eat either 4 or 5 times a week at the canteen. External (Externe) – Students eat lunch at home. Notably, if lessons finish before midday or after 2pm, students on the Externe regime are permitted to leave the school premises for the duration of the extended lunch period. Free (Libre) – Lycéens are enrolled automatically on this regime. They are free to come and go, outside lesson times. Notably, a card can be obtained for the self/canteen that allows students to eat there on an ad hoc basis. The school dormitory (internat) is a ‘home from home’ for the 135 students that live here between Mondays and Fridays during term-time. With a family-like atmosphere, it has 45 bedrooms, separated into female and male living quarters, each with two to three beds per room. For students who live far from school, the internat provides a much needed respite from long journeys to and from school. The fees for the internat (including all board and lodgings) can be found here. Our cité scolaire welcomes young people with physical disabilities. Our buildings have been adapted to cater to the needs of those with reduced mobility and there are two bedrooms in the dormitory for disabled students. Whatever your handicap, we are committed to taking positive action to remove barriers to success for you and will make every effort to provide the support or specialist equipment needed. If you are disabled, please tell us about your access needs or learning difficulty as soon as possible, as it will help us to help you better. If you have further questions or would like help enrolling your child, please don’t hesitate to contact us. We have members of staff who speak English, Spanish and German, among others. Should it be required, it is possible to arrange a preliminary visit with someone who speaks English.